AdRotate® is the popular choice to publish banners on WordPress. Providing a comprehensive and easy to learn experience for novices and professionals alike. 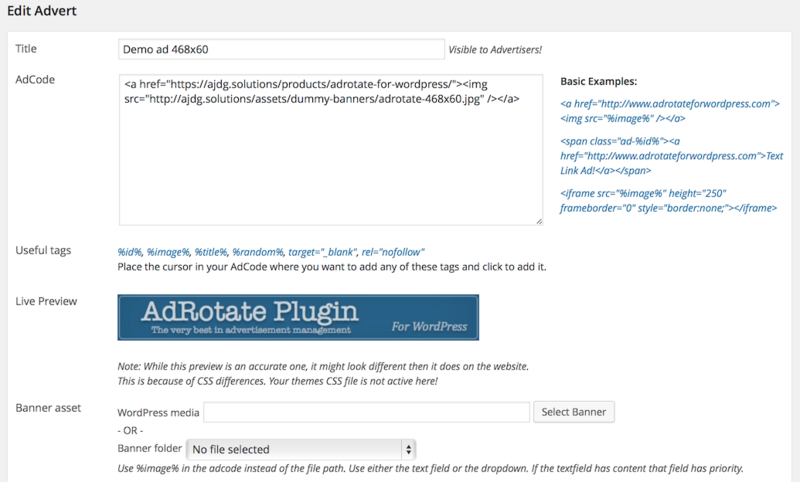 Create and manage unlimited ads with Adrotate Pro – A great advertising plugin for WordPress. Gather stats and run successful advertising campaigns from your dashboard. If you are a WordPress user you should use AdRotate to get the most out of your advertisements and have the best and greatest flexibility in advert placement and management. 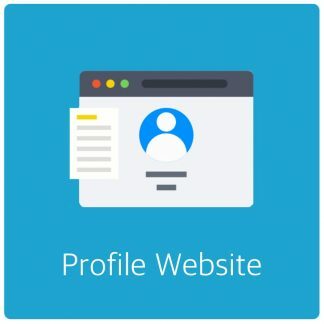 Get AdRotate Pro and become one of 8326 satisfied users! AdRotate integrates closely with WordPress and gives you the freedom to place adverts pretty much anywhere on your site with ease. AdRotate provides an easy to use dashboard, settings and lot’s of features to make the most of advertisement. Target the right audience. And do so in style. AdRotate Pro supports several geo services; Including the renowned GeoIP2 service from MaxMind and AJdG Solutions very own AdRotate Geo free with any AdRotate Pro license. Easy to set up, even easier to use. With AdRotate Pro you get complete control over when your adverts show up. Maintain multiple schedules and advanced time tables for when adverts will show up. Each advert can have multiple schedules so you can plan your campaigns months in advance. 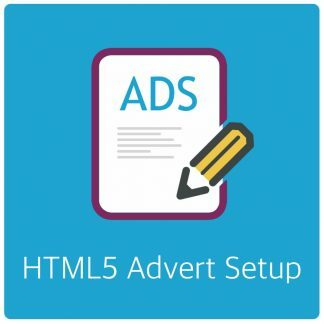 With AdRotate Pro you can let your advertisers create their own adverts. This saves you time. Have your advertisers manage their own adverts and all you have to do is review them. This gives you more time to create content. Show select adverts on mobile only and prevent desktop adverts from showing on mobile phones. All popular mobile systems can be detected and then some. Including; iOS, Android and Windows Phone. Easy to use reports. And what’s more; export them. 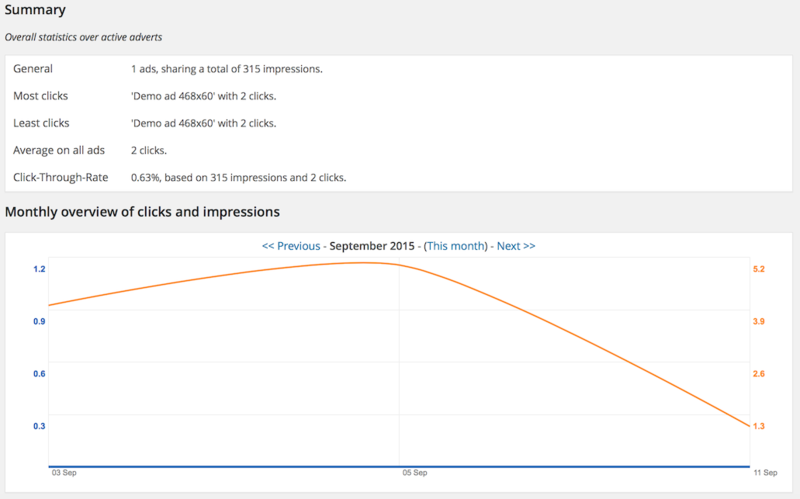 AdRotate Pro allows you to get a good grasp on which ads are successful and which should be cancelled. Your advertisers can have access to these numbers too if you want. Not one for queuing up in the forum? Need help during the weekends? Personal email support will give you a faster, more personal and private way to get your questions answered without others interfering. You’re always up-to-date with email and/or push notifications. 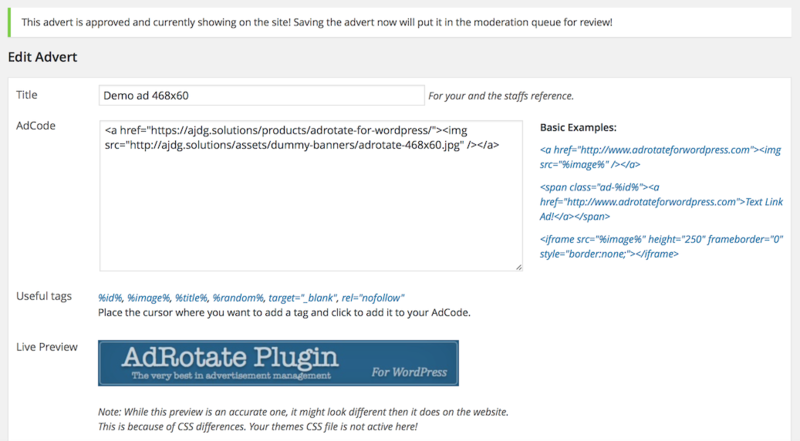 Get notified when adverts expire, have errors or when advertisers create new adverts. Never miss an expiration date again. 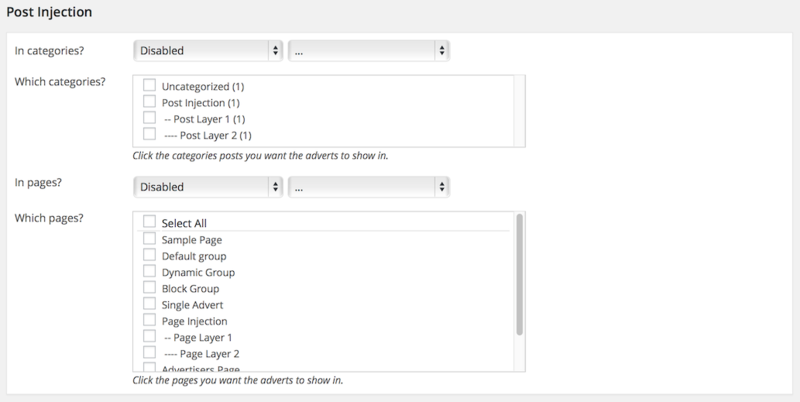 Take a look at the table of features below to see how AdRotate will help you manage and place your adverts. And new features are added, updated or improved regularly. Feedback and ideas are always welcome! I love this plugin, it blocks bot login. Now my site runs smoothly… Great job guys. God bless the developers! Thank you for providing a plugin that has the FREE options to do the rotation, display, grouping, click counters, paid listings, the whole job to get it off the ground – not just tease people with the potential once they pay a huge monthly fee! All screenshots depict AdRotate Pro. AdRotate Free has the same look and feel but some features are not available in the free version.